This comfortable Marines Mock Turtleneck with an athletic golf fit, this mock takes comfort and performance to a new level. Advanced Pima-Tek fabric pairs superior moisture-wicking technology with the luxurious softness of long-staple Pima cotton. This unique blend keeps you dry by transferring moisture to the outer surface where it quickly evaporates. 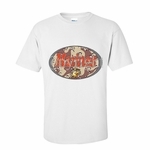 Lightweight and shrink resistant. 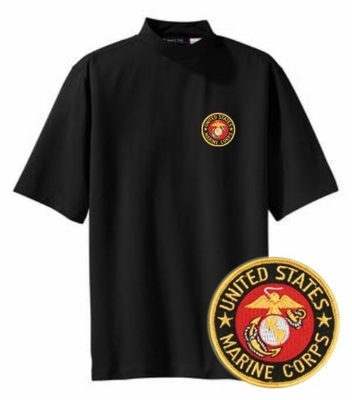 Remember� you found the Marines Short Sleeve Mock Turtleneck at TShirtHub.com, where high quality came at a low price.